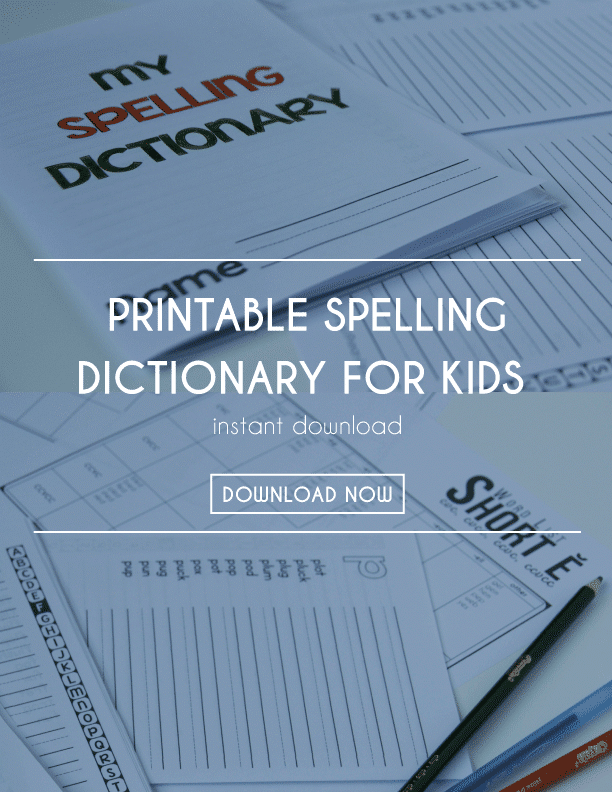 Get this Free Printable Spelling Dictionary at Primary Learning. This dictionary for students in grades K-1 includes CVC, CCVC and CVCC words divided by word families have the same pattern (word family). Word lists are also included!